Manchester United are set to lose key midfielder Marouane Fellaini as a free agent this summer. The Mancunian club was determined throughout the 2017-18 season to tie the player down by offering a new contract, but the player rejected the same on two occasions. There has been an issue regarding the wage factor, with the midfielder believed to be demanding £130,000-a-week, but the club not willing to pay the same. Manager Jose Mourinho stated several times that the former Everton man is of huge importance to the club, and it is between the two parties (club and the player) to sort issues. The gaffer had also added that he is hopeful that the Belgian will stay put at Old Trafford. But there have been constant suggestions that Fellaini is set to depart United, and will seek a new club. And now, according to a report in The Times, it has been said that the player will be rejecting any new offer made by the Red Devils, as he has already made his mind up. He is likely to find a new club post the 2018 FIFA World Cup in Russia. The reason for Fellaini wanting to depart is not only the wage demands, but also wanting regular game time. 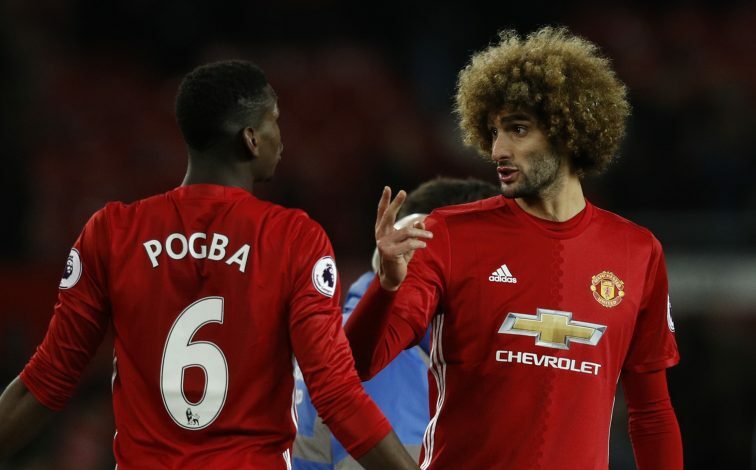 Jose has preferred the likes of Nemanja Matic, Paul Pogba, and Ander Herrera more over Fellaini, who has been used mainly as an impact player. With the Belgium international in the final stages of his career, the signing of Fred by United would also see the 30-year-old move further down the pecking order. Fellaini is being monitored by several clubs, with AC Milan being one of the frontrunners in his pursuit. The experienced midfielder has played a total of 155 matches for United, scoring 20 goals in return.